The Federation of British Historic Vehicle Clubs was established at a public meeting held at the Royal Automobile Club in Pall Mall on 23 July 1988, but its roots go back to the time more than 30 years earlier when the concept of testing vehicles for roadworthiness was filtering into public consciousness and the need for a body to represent the interests of older vehicle owners became apparent. In those days ‘older vehicles’ meant anything made before WW2. Testing had first been mooted in Parliament in the mid-1950s, and the first government testing station was opened at Hendon in October 1955 as an experiment to provide government with information and experience with a view to establishing a compulsory test at a later date. Those first tests were free and voluntary. Despite questions in Parliament on several occasions as well as press coverage little progress appears to have taken place until after the October 1959 general election when Harold Macmillan appointed Ernest Marples Minister of Transport. Marples, who served in this post throughout the full five year term of the government, had gained a reputation as someone who got things done. As Postmaster General in the previous government he had overseen the introduction of Premium Bonds and subscriber trunk dialling (a big advance for the telephone system of the time) as well as laying the ground for the introduction of post-codes. Within a year of his appointment, he had seen through a new Road Traffic Act, which called for annual testing of light vehicles over ten years old. The Ministry of Transport Test had been born, although in this, its first manifestation, it was generally referred to as the ‘ten year test’ - a nomenclature that didn’t last long as within seven years the age at which vehicles first required testing had been progressively reduced to the current three years. ‘MoT test’ soon became a part of the national vocabulary surviving attempts in the early 1970s to re-name it the ‘DoE Test’ after Edward Heath had combined the Ministry of Transport with other ministries to create the Department of the Environment. Concern about testing, and the risk that test requirements would disadvantage historic vehicles, was what caused officers of prominent clubs catering for pre-WW2 vehicles to form the Historic Vehicle Clubs Joint Committee (HVCJC) in the early 1960s. Concern about testing has been a consistent theme ever since. HVCJC had no rules as such, the committee was appointed, not elected, and clubs catering for pre-1940 vehicles made modest financial contributions to cover costs according to their size. HVCJC operated in an informal way, making considerable (and skilful) use of the old-boy network to resolve problems almost before they arose. Careful monitoring of government proposals and an early agreement to the general principle that no vehicle should be required to perform to a higher standard than that which applied when it was new ensured that owners of pre-1940 vehicles were not unfairly disadvantaged. So effective was this approach that most enthusiasts remained blissfully unaware that people were working behind the scenes to protect their freedom to use their historic vehicles on the road without a need to bring them up to modern standards. In those days before British entry to the ‘common market’, there was not much concern about European legislation. The Fédération Internationale des Véhicules Anciens (FIVA) had been formed at the end of 1966 by the amalgamation of two earlier international groups, both catering for pre-war vehicles. 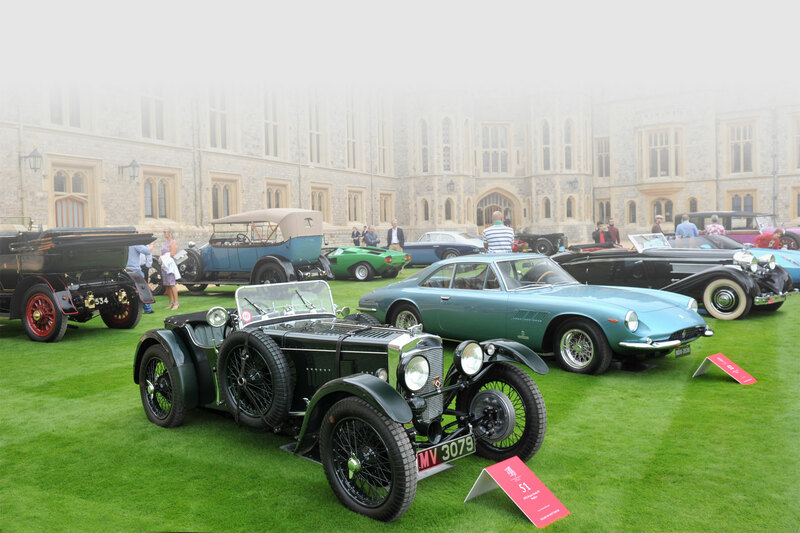 Britain’s representation in FIVA was shared by the Veteran Car Club of GB and the Vintage Sports Car Club. FIVA’s purpose was almost entirely event-focused to encourage international activity. HVCJC was extraordinarily fortunate in having some high-powered officers who would inhabit Savile Row pin-stripes during the week, but were to be found in greasy overalls most weekends. By the early 1980s, the committee was meeting in a room at 36 Whitehall, perhaps more commonly known as the Parliamentary Counsel Office (PCO), right in the heart of government. To have a senior civil servant as honorary legal adviser to the committee was always going to be helpful, but for that civil servant to hold a sufficiently influential position in the PCO (where legislation is drafted) to enable him to use meeting rooms for private purposes was valuable almost beyond imagination. The “I’ll talk to Henry in the morning” with which many a discussion concluded became a catch phrase amongst those attending: Henry always listened and it was very rare for legislation to progress beyond first draft with anything that would be detrimental to historic vehicle owners. The only lapse in attention that allowed a piece of what might be called retrospective legislation to be imposed on historic vehicle owners was the 1978 requirement that vehicles with fixed windscreens should be fitted with washers. (The other two ‘retrospective’ Construction and Use requirements to affect historic vehicles – twin rear lights for all cars carrying lights and double dipping headlights for post 1930 vehicles – had been introduced before HCVJC was formed). The word “Joint” was dropped from the title to shorten it to HVCC in the late 1970s at which time gross membership was probably not much more than 30,000 in around 50 clubs catering for pre-1945 vehicles. Owners of 1950s and 1960s vehicles had no representative body until a group of clubs catering mainly for cars of that era joined forces to combat the government’s first (July 1980) attempt to require owners to pay vehicle excise duty on all vehicles in their possession whether in use or not. The new organisation was called the Classic Vehicle Clubs Committee and its aims were very much in step with HVCC’s, so it was hardly surprising that the two organisations joined forces to ensure that Norman Fowler, the then Minister responsible, dropped his proposal. Having worked together effectively on that critical issue, those running the two organisations recognised the synergy and representatives of CVCC were soon attending HVCC meetings on a regular basis for mutual benefit. Things had to change when that honorary legal adviser was promoted to the Top Job at PCO. He had to relinquish all links that might have created a conflict of interest. Meetings moved from Whitehall to the HQ of English Heritage in Fortress House, Savile Row. At the same time, the overall political and legislative scene was changing. Ten years after UK had joined the common market European legislation was beginning to make itself felt. By the time the UK government came to transpose a particular directive into UK law, it was effectively too late to have much influence on the outcome. It was becoming clear that the historic vehicle movement needed representation in Europe as well as Westminster. It was also becoming obvious that the day of the behind-the-scenes-let’s-talk-over-lunch-at-Simpson’s-in-the-Strand method of operating was over: the world was moving on, old-boy networks had had their day and even if they hadn’t, they would never be capable of exerting much influence in Europe. It was also obvious that any informal organisation representing a one-nation minority interest was never going to be taken seriously in Brussels where international representation, large numbers and formal structure is the only formula for being taken seriously. A plan was hatched. The HVCC and CVCC would join forces within a formal structure, as many clubs catering for vehicles over 20 years old as possible would be encouraged to join, the new organisation would take over UK representation in FIVA and FIVA would be changed from an organisation interested in little more than rallies to a truly representative organisation. It took nearly three years of careful diplomacy to bring this to fruition – the UK angle was straightforward, but persuading FIVA to change its focus was not helped by a general lack of funds. HVCC and CVCC both had modest bank balances, only just in four figures. FIVA was better off, but not much. In the end a combination of individual generosity and pure luck ensured success. FIVA had no experience of lobbying or monitoring legislation. Understandably, it was reluctant to make a commitment it was not sure it could fulfil. It agreed only when HVCC undertook on behalf of the proposed new organisation to fund a professional lobbyist to do the work for as long as it took for FIVA to raise a levy on its European membership to pay for the service. HVCC was only able to make this undertaking through the generosity of one person who promised to raise the funds or pick up the bill personally if he was unsuccessful. In the event, he had little difficulty. Once the various ducks had been aligned, a public meeting was set for 23 July 1988. Although HVCC and CVCC were carrying most of their member clubs with them, this only amounted to a membership of not much more than 50,000. The proposed rules of an unincorporated body to be known as the Federation of British Historic Vehicle Clubs were drafted and flyers inviting interested parties to attend the meeting were sent far and wide in the hope of encouraging stronger support. The flyer contained a spoof cutting of the front page of The Times showing the headline and first paragraph of a mock article describing how vehicles over 20 years old were soon to be outlawed. The first line of text below the ‘cutting’ explained that the article was a spoof. The luck came in when a harassed Fleet Street motoring correspondent (to whom the flyer had been sent) with quarter of a page to fill treated the mock cutting as if it was gospel … and support for that meeting on 23 July doubled more or less overnight with the result that four months later, the secretary could report a membership of 100,000. And so, it came to pass that on that day in 1988, HVCC formally joined forces with CVCC to create FBHVC, and FBHVC immediately became the UK representative in FIVA. A professional lobbyist was appointed and the task of monitoring European legislation had begun. Within four years, FIVA had persuaded other EU countries of the benefit of this work, and since then the costs of this invaluable service have been shared equitably according to the number of members represented. From inception, FBHVC has only ever had one objective: to uphold the freedom to use old vehicles on the road. Anything else FBHVC has ever done is in support of that single aim. Today, FBHVC represents over 500 clubs with a gross membership fluctuating either side of quarter of a million. There are also some 20 museums/collections and around 1,000 supporters who are either individuals or traders who recognise the importance of FBHVC’s work and wish to contribute to it. And the organisation has, so far, been remarkably successful. Aside from the windscreen washers mentioned above, properly maintained old vehicles that complied with relevant regulations when they were new may continue to be used in their original form. That, of course, does not necessarily mean it is wise that they should be used as they were built, but that is a different story that has been addressed by the Guide for Users of Historic Vehicles that FBHVC produced in conjunction with FIVA about seven years ago. In FBHVC’s first decade, work concentrated almost entirely on vehicle related legislation and regulation until there was a general acceptance both in Westminster and Brussels that retrospective requirements should be avoided. FBHVC feels confident that there is little to fear on this front, with vehicle related problems now centring on testing standards and methods – see the item on Roadworthiness Testing elsewhere in this issue. Environmental considerations now occupy centre stage: some might say the whole stage. Aside from coming from any number of different areas of government, and covering topics as diverse as disposing of abandoned vehicles to the use of mercury; from the carcinogenic properties of poly aromatic hydrocarbons to energy consumption; from noise pollution to air quality, proposed measures to protect the environment are particularly difficult to counter without losing credibility. Logic says that overall human well-being should take priority over individual interest. Thus any organisation that responds to a new proposal along the lines “we’ve always done it that way, we want to go on doing it that way” is effectively also saying “we don’t care about those who are being adversely affected”. That is not constructive and unlikely to be effective. Recognising the underlying purpose of a proposal, then trying to meet it part way, is far more constructive. Accepting the general ban on leaded petrol but negotiating a derogation to allow the continued sale of small quantities in special circumstances or recognising the reasons for banning cellulose paint but negotiating a concession permitting sale under licence for use on historic vehicles are but two examples from the past. Ethanol in fuel is a current problem and as anyone who has read recent Newsletters will know, FBHVC is doing what is necessary to work round it. Those who have criticised FBHVC for not taking a stronger stand against the inclusion of ethanol in fuel are really rather flattering, but essentially deluded. It is flattering that some people believe FBHVC has sufficient influence to overturn the provisions of international treaties of many years standing, but like King Canute’s courtiers, who believed he could stop the tide, they’re doomed to disappointment. It is a pity they are unlikely to understand the true position. Of course we’d like leaded petrol and cellulose to be readily available, and to have fuel that contained no ethanol but if FBHVC and FIVA had taken those positions as their stance, we’d not even have the concessions that have been won. Unfortunately, we in the wealthy west have become used to the idea that if you can afford it, and if it is legal, you can do what you like when you like. Given finite resources and ever growing populations, that view is not sustainable and most governments are trying to move public attitudes towards reducing blatant consumerism, especially where there is conspicuous or sustained use of energy derived from mineral fuels. It was with the thought of being prepared to counter anti-old-vehicle moves that FBHVC undertook the first survey of the historic vehicle movement. That was in 1997, and showed the value of the historic vehicle movement to the national economy to be in excess of £1.6 billion. More importantly, it also showed that average use of historic vehicles was low. FBHVC persuaded FIVA of the need to collect such data on a pan-European basis: a need that was confirmed when the European Commission’s Environment Directorate told FIVA it could do nothing to protect the interests of the historic vehicle movement if there was no quantitative data to show its composition. Another survey, this time taking in most of the rest of the pre-enlargement EU was undertaken in 2005/6 under the aegis of the same team as in 1997. The overall EU total exceeded €16 billion, with UK representing a quarter of that total – but, again more importantly, the survey showed historic vehicle use was low, at less than 0.1% of total circulation. Armed with that message, FBHVC and FIVA went back to the Environment Directorate and came away in the knowledge that the European Commission would not recommend specific measures against old vehicles as a means of protecting the environment because their use is so small as to be insignificant. And that is what one could call a ‘result’ – despite the fact that there is nothing written in any official EU document, that stands as one of the most important things that FBHVC and FIVA have achieved, even more significant than getting a clause inserted into an EC report on Road Safety to the effect that new laws should take account of the needs of users of historic vehicles. In 2012 FBHVC brought those 2006 figures up to date, finding that the UK historic vehicle movement was worth over £4billion annually. This article has deliberately avoided mentioning names: so many people have been involved over the years that it is impossible to name them all, yet to name some and not others is invidious, so just one name. Lord Montagu. People tend to make easy assumptions about the famous: it’s one of the burdens of fame. One common assumption is that accepting office as President or Patron of an organisation like FBHVC is a purely nominal matter. Edward Montagu has turned that assumption on its head. He has made an enormous personal contribution by not only attending routine committee meetings in the formative years, but also hosting them in his office when he was Chairman of English Heritage. He has guided and advised six chairmen, all of whom have been appreciative of his wisdom, experience and backing. He has opened innumerable doors in the corridors of power, and despite the unfortunate ravages of anno domini continues to do so. He has used his seat in the House of Lords as a launch pad to bring matters of concern to the historic vehicle movement into public debate. The historic vehicle movement could have no better friend.